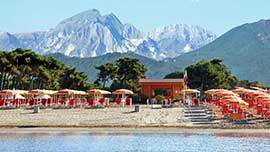 Lido di Camaioreis the charming modern beach of the historical centre of Camaiore. 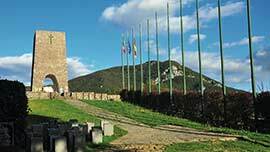 It is situated in a quiet zone on the sea between Viareggio and Marina di Pietrasanta. 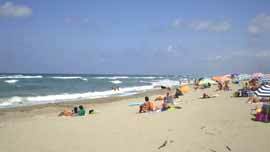 This place has become famous for the wide beach with its fine and golden sand and for its inland. 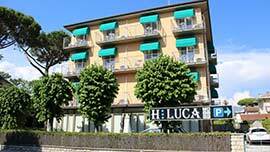 An incomparable scenery with its fertile hills and the peaks of the Apuan Alps standing out in the deep blue sky. The seaside equipments are the most modern and functional. They can be reached through a beautiful promenade rich in flowerbeds, palms, pubs and premises.The avenue along the coast, just after the promenade is used also as free parking zone. Moreover beautiful hotels allow a wide sea view. 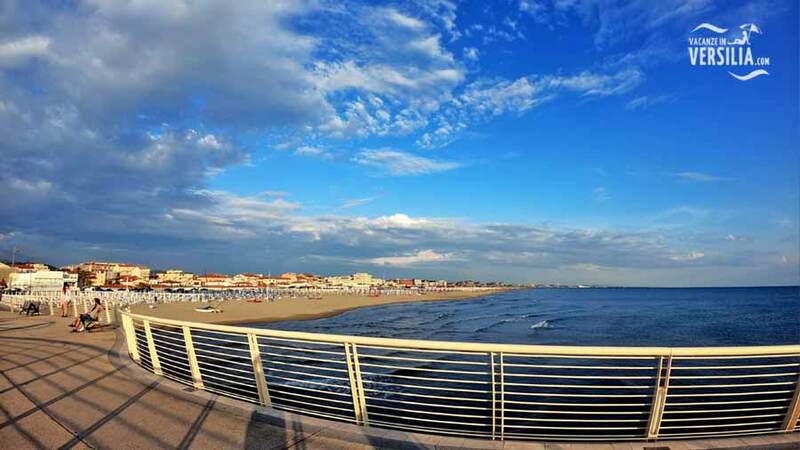 Lido di Camaiore is characterized by the presence of many villas surrounded by parks, by wide roads, by beautiful squares with artistic fountains and gardens in the nearby of the sea , by a well equipped town centre with public utilities. There is also a funny park for children in a pinewood In the summer, the greatest attractions and the more amusing games wait for you every day at the Luna Park of Lido di Camaiore. You will enjoy yourself with tens of spectacular attractions.